John L. Nichols, III was born in Lake Toxaway, NC. 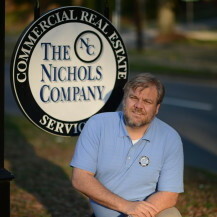 He is the founder of The Nichols Company, Inc., a commercial real estate firm in Charlotte, NC and has over thirty years of experience in real estate. He has continued to be thoroughly involved in the revitalization of all of the Charlotte Center City Communities. He was the President of Plaza Central Development Group, serves as a member of the Independence Citizens Advisory Committee for the Charlotte Department of Transportation, and served on the Board of the Charlotte Commercial Board of Realtors, the Johnston YMCA, and Big Brothers Big Sisters. John is currently renovating a number of historic buildings in Brevard and Lake Toxaway, NC. John was recognized by the Charlotte Region Commercial Board of Realtors (CRCBR) with The Nichols Company winning Top Independent Brokerage Award for a Large Firm and Top Producer Land - 1st Place. The Nichols Company has also won "Charlottes Best Places to Work".